Deal significant DEF-ignoring damage to a single enemy. They were called, Jack the Ripper. Jack brutally murdered five women and despite the best efforts of Scotland Yard, Jack vanished without ever being caught. The version of Jack summoned as an Assassin. 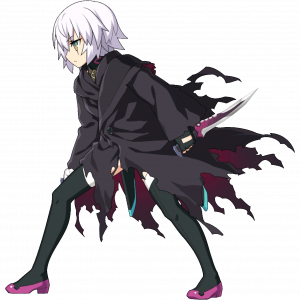 Since Jack the Ripper's identity was never found out, their form changes in accordance with the class they are summoned into. As an Assassin, they represent the collective consciousness of those who were never given the chance to be born. 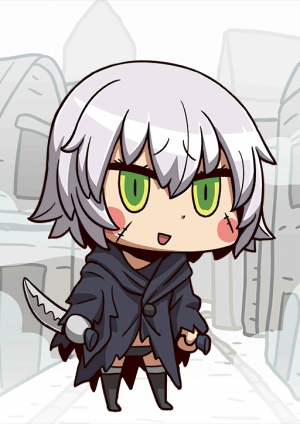 Since Assassin Jack was killed before she was born, her wish to the Grail is to return to her mother's womb. She is naive, but perhaps because she was summoned as Jack the Ripper, she is astonishingly intuitive. This Noble Phantasm recreates the murders of Jack the Ripper. There are three conditions that must be met: it must be night, there must be fog, and the target must be a woman. 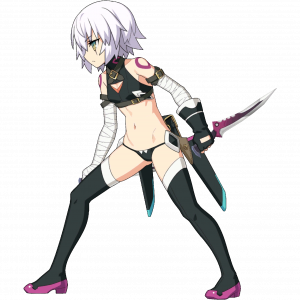 After being summoned as an Assassin, she calls herself "Jack the Ripper," but even she doesn't know if she's the real killer. She remembers killing several women, but is uncertain if they are Jack's victims. As a child who was never loved, she strongly seeks love. She desires a mother's love from her Master, be they male or female. You're free to respond to her wishes, but don't be surprised if she crawls into your belly. The version of Jack in case summoned as an Assassin. A serial-killer whose name is known all over the world. In Japan, it is often designated as "Jack the Ripper" without change. In spite of the frantic investigations of the Scotland Yard, it butchered five women and then disappeared without ever getting caught. 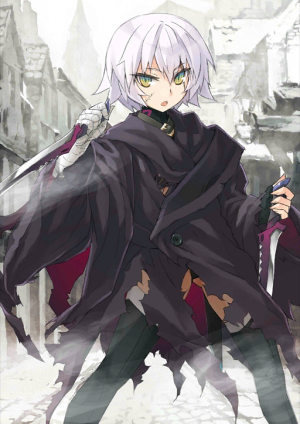 Because the true identity of Jack the Ripper has never been made clear, its shape changes in accordance with which Class it is summoned into. In this case, having manifested as an Assassin, it is an aggregation of children who were not allowed to be born. 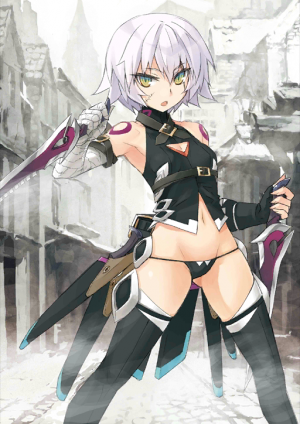 Because of this, Assassin-Jack was killed before even being born, her wish for the Holy Grail is a regression to the womb--to return to her mother's womb. Although ignorant of the ways of the world, maybe due to having been summoned as Jack the Ripper, she is frighteningly quick-witted. 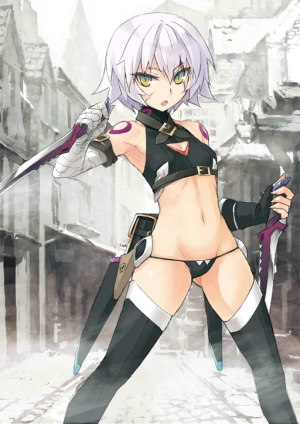 A Noble Phantasm that reproduces the murders of Jack the Ripper. There are three necessary conditions: "the time period must be night", "the opponent must be female" and "mist must occur". 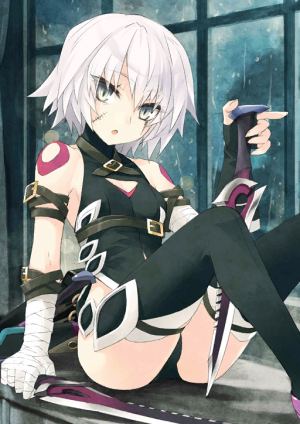 She, who was summoned as Assassin, calls herself "Jack the Ripper"; but even her doesn't know if she is really the "true culprit". Although she has memories of killing several women, it is also unknown if they were Jack's victims. As a child that was never loved, she was strongly seeking out for love. Regardless of whatever the Master is male or female, she will probably demand his/her love as a "mother". While there is no problem in responding to that love, she might intend to sneak into your abdomen. 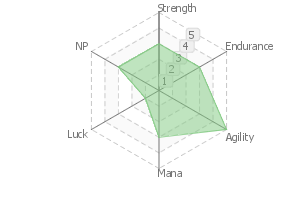 She shares the exact HP values (at both minimum and maximum) with Mysterious Heroine X. This page was last modified on 30 December 2018, at 10:37.